I was pleased when I read this in the post in SSDT team blog. 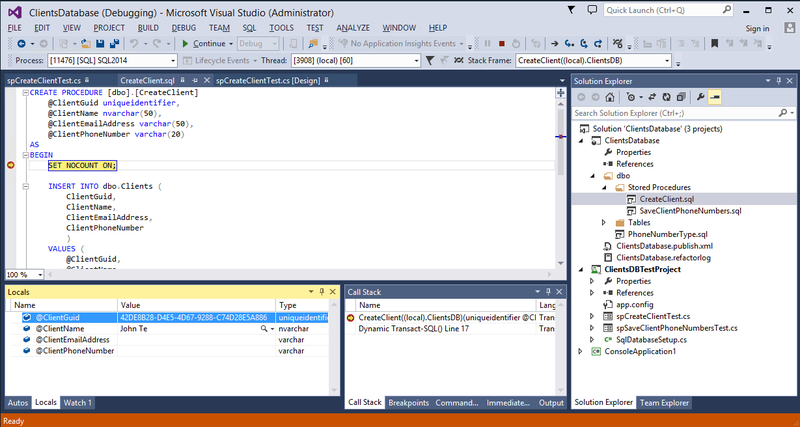 But I was confused a little when I could not set a breakpoint in unit test as I always do in Visual Studio. Yeah! You can’t click on the grey sidebar to the left from the unit test code (it’s on the red frame on the screenshot below). 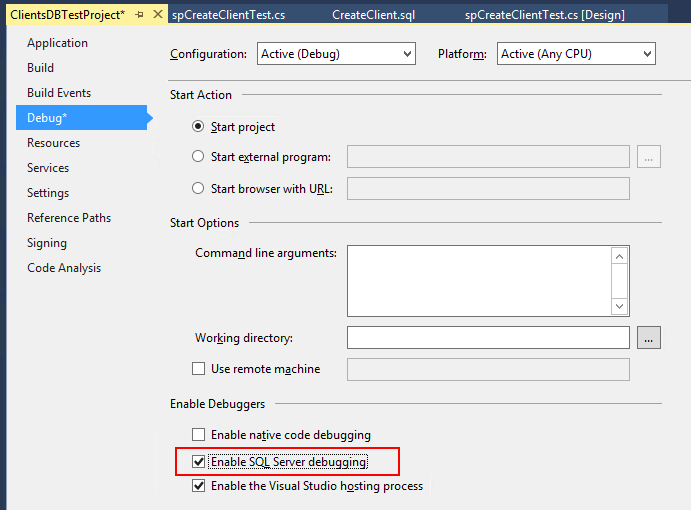 I’ve found a topic How to: Debug Database Objects on the MSDN that describe the steps needed to debug unit test. 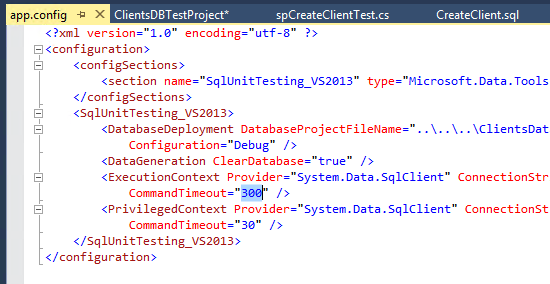 3) set breakpoint in stored procedure we are debugging. 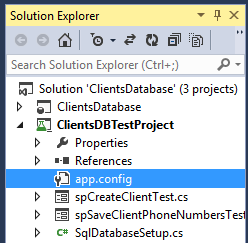 You can open it in your database project or via SQL Server Object Explorer (View -> SQL Server Object Explorer). Immediately after that you will see the debug panels in Visual Studio. But it’s too early to press any buttons to step into or over. You should wait some time while Visual Studio loads and runs all the actions before it reach the breakpoint. At this time the breakpoint is shown as a white circle with a red rim. When the execution stops at breakpoint the line will be highlighted with yellow color. 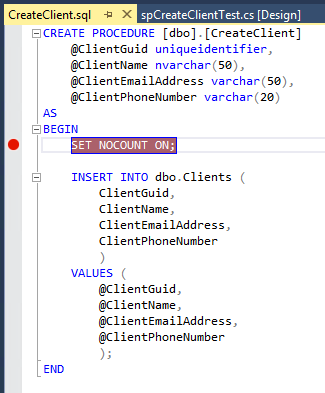 Now you can step forward over the commands of the stored procedure being debugged.